Torino will look to win their third consecutive game as they travel to the San Siro to face AC Milan who have been rejuvenated under new coach Clarence Seedorf. New signing Jasmin Kurtic has been included in the Torino squad, although like fellow new January arrival Panagiotis Tachtsidis he will probably start on the bench, with Giampiero Ventura likely to keep faith with the side that beat Atalanta last Sunday. The home side will be without Mario Balotelli, who is suspended, and that could halt the momentum of a side who have won both of their league games with Seedorf in charge. The origins of a how a football team got their nickname can be a strange story. However, often it can be a simple tale, and is perhaps associated with the colour of the kit, or sometimes it is associated with a symbol of the city or town. 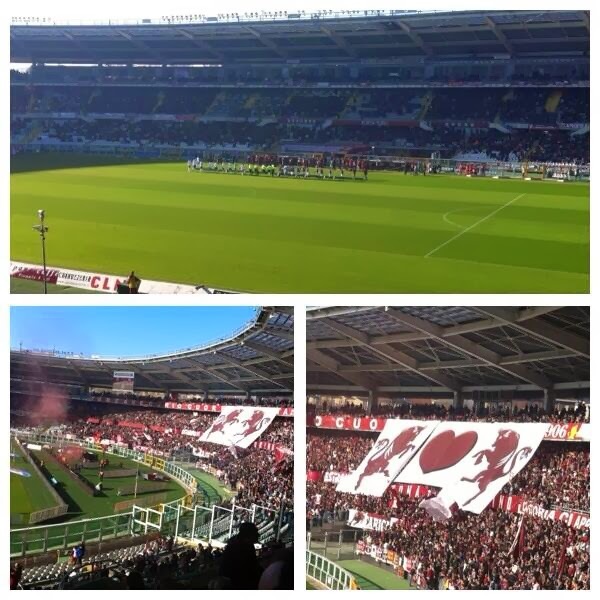 For Torino, their two most common nicknames, the Granata and il Toro fulfil both of the above criteria. Granata is the Italian word for Maroon, the famous shirt colour that the team wears, whilst il Toro, the Bull is a nickname garnered from the symbol of the city of Turin. In England, nicknames follow the same type of pattern, and what I am writing about in this article is the only professional football team in England to share a nickname with Torino - Hereford United FC, who are also known as the Bulls. Like Torino, an image of a Bull is present on the Hereford United badge - and whilst I am not certain, I believe their nickname derives from their history as being an agricultural town. Hereford are a famous name of the English game, and arguably caused the biggest upset in the history of the FA Cup when (as a Non-League team) they beat top flight Newcastle United 2-1 in February 1972 thanks to goals from Ronnie Radford and Ricky George. Another famous name in Hereford United's history is John Charles, who played for and managed the club towards the end of the 1960s. Despite being a former Juventus player, Charles became something of a hero for Torino fans during his time at their rivals because of his sportsmanship, and he famously decided not to score a goal in a derby because a Torino player was injured on the floor,. Instead, he kicked the ball out of play so that the player in question could receive treatment. As recently as 2009 Hereford were playing their football in the third tier of English football, however they have struggled recently and are currently plying their trade in the Conference - the fifth division of English football. The reason I am writing this article is because unfortunately Hereford are having a number of financial difficulties at the moment (something Torino also know something about) and still need to raise a significant amount of money to avoid going out of business. 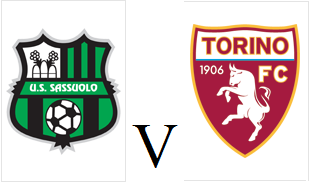 Because of the connections between Torino and Hereford that have already been mentioned, I have taken an interest in their quest to raise funds, and wondered whether it would be possible for Torino fans (or any football fans for that matter) to help the club stay in business. Social media and the internet is an extremely powerful tool, and a similar campaign was launched to save Spanish side Real Oviedo from going bust, so wouldn't it be fantastic if the same could happen for Hereford? I know it is unlikely that we will be able to raise the thousands of pounds that the club needs, but it would be an excellent gesture to at least try and help a club who are going through a difficult time. And who knows, if everything goes well, we could even look at creating an official friendship between the fans of Torino and Hereford. If anyone who has read this article and feels that they would like to donate, then you can make a donation to the club here or alternatively, you can purchase shares for the club on this link - something that I have already done myself. If you would like to keep track of how the campaign to save Hereford United progresses then I can recommend the excellent local newspaper the Hereford Times. Torino's excellent recent form continued as they beat Atalanta 1-0 thanks to a highly controversial penalty from Alessio Cerci. The Granata made just the one change from the side who beat Sassuolo, as Matteo Brighi was replaced by the fit again Omar El Kaddouri. Torino had the ball in the net within the opening five minutes, but Alessio Cerci's effort was correctly disallowed as the Italy international was offside. 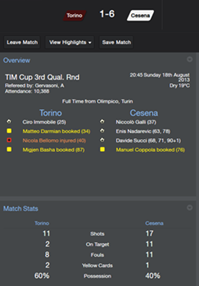 Cerci continued to be a threat for the rest of the half, but Toro were unable to create any clear cut opportunities. The major turning point in this game occurred on the hour mark, as referee Paolo Tagliavento pointed to the penalty spot after a collision between Atalanta goalkeeper Andrea Consigli and Cerci. It looked as though Consigli had got to the ball first, and that it was in fact the Torino player who had ran into him. However, the former Fiorentina player took the penalty himself and sent the keeper the wrong way to give Toro the lead. Guglielmo Stendardo, who had scored against Toro earlier in the season almost scored an equaliser for the away side, but his glancing header went over the crossbar. Daniele Padelli also had to make an excellent save to deny German Denis' header, as it looked to be going into the top corner. In injury time, some excellent persistence from Matteo Darmian saw the full back win a penalty for the home side, and defender Davide Brivio received a second yellow card for bringing him down in the area. With Cerci off the pitch, Ciro Immobile stepped up to take the penalty but his weak spot kick was easily saved by Consigli. However, in the end it didn't matter as Torino came out victorious, to seal their sixth victory in their last nine games, a run that has seen them move up to 6th in the table. 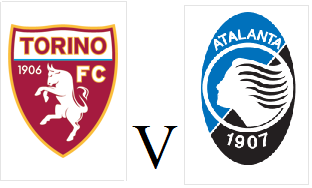 Torino will look to continue their excellent home form when they face Atalanta at the Stadio Olimpico on Sunday afternoon. Marcelo Larrondo was rumoured to be included in the squad for this match after being out injured for over four months, but unfortunately he has not been able to recover in time. However, Alexander Farnerud who was substituted against Sassuolo with a head injury is fit enough to be considered for selection. Atalanta are also in good form and have won their last two games, both at home against Catania and Cagliari. However, it is their away form that has been their problem all season and the Bergamo side have only won once on the road all season. Last season, Torino won this fixture in the dying moments as Valter Birsa's late goal gave the Granata a deserved 2-1 victory, with a certain Torino fan *cough cough* in attendance to witness it. Torino beat both their opponents and the terrible weather conditions as they emerged from Reggio Emilia with a 2-0 victory over Sassuolo on Sunday afternoon. As expected, the fit-again Ciro Immobile returned to the starting eleven, as did midfielder Giuseppe Vives who was suspended for the game against Fiorentina. Italy coach Cesare Prandelli was in the stands to watch the game, and it was believed that he was there to watch Toro strikers Immobile and Alessio Cerci, as well as Sassuolo striker Domenico Berardi. However, the young striker who scored four against AC Milan struggled to make an impact in the early stages of the game, and he rightfully received a booking for a horrendous challenge on Emiliano Moretti. Mid-way through the first half, Toro took the lead when the excellent Immobile won possession on the half way line, before sprinting clear and lifting the ball over Gianluca Pegolo. At the start of the second half, Berardi shot over the bar from long range and moments later the Granata were able to double their lead. Alessio Cerci broke clear down the right wing, and whilst his initial shot was saved by Pegolo, experienced midfielder Matteo Brighi was on hand to score his second goal of the season. Immobile was the striker who was impressing most, although on this occasion he was assisted by the waterlogged pitch that held the ball up for him to run on to - but his low shot was saved by the former Siena keeper Pegolo. With the rain continue to pour down it became impossible for the home side to get back into the game, and Toro held on for another impressive away victory. The Granata are now up to 7th, and whilst talk about their possible Europa League chances does seem ambitious, it does make a nice change to be looking up the table, rather than down. 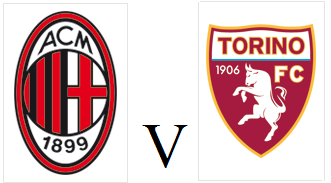 Torino will be looking for their first victory of 2014 as they travel to face a Sassuolo side who will be buoyed after beating AC Milan last weekend. Sassuolo striker Domenico Berardi hit the headlines for scoring all four of his sides goals in that 4-3 victory, and he will likely start in a front three once again. However, the home side will be without fellow striker Simone Zaza who is suspended. The Granata welcome back Giuseppe Vives, Omar El Kaddouri and Ciro Immobile to the squad, as all three missed the draw with Fiorentina for differing reasons. Panagiotis Tachtsidis could make his debut for Toro after failing to come off the bench against the Viola. Torino won the reverse fixture 2-0 on the opening day of the season, thanks to goals from Matteo Brighi and Alessio Cerci, but as the victory against Milan illustrated, the neroverdi have certainly improved since then. I have an admission to make - this challenge is much more difficult than I expected it to be. I am not sure whether this is an illustration of how impractical the W-M tactic is on a computer game, or just showing how bad I am at this game - possibly a bit a both. The pre-season campaign had mixed results, as heavy defeats against Benfica and Villarreal were combined with convincing victories over lower league Dutch opposition. However, the worst was yet to come, as a humiliating 6-1 home defeat in the Coppa Italia followed, despite having 60% of the possession. And despite a bright start in the opening league game of the season, with Omar El Kaddouri's 90th minute equaliser rescuing a point for the virtual Toro. However, a run of five consecutive defeats and 19 goals conceded has left Toro routed to the bottom of the table. Hopefully things will take a change for the better in the next few games, but at this rate it is looking unlikely that this challenge will even last until January. After reading about the most successful team in Torino's history 'il Grande Torino' during my recent trip to Turin I learnt more about the tactic that Toro employed during this period. The 'W-M' formation which was used by the Granata is perhaps best explained by other tactical experts rather than myself, so this article will hopefully add a little bit more information. This got me to thinking whether this would ever be able to work during the modern era, and with no actual offers to manage a football club ever likely to come my way, I thought of the next best thing - Football Manager 2014. Now, I should firstly admit that despite being a huge fan of this game, I am absolutely terrible at it - and whilst I can enjoy some success on the shortened iPad version of the game, I have actually managed to get Torino relegated on the current PC version (using a traditional tactic). 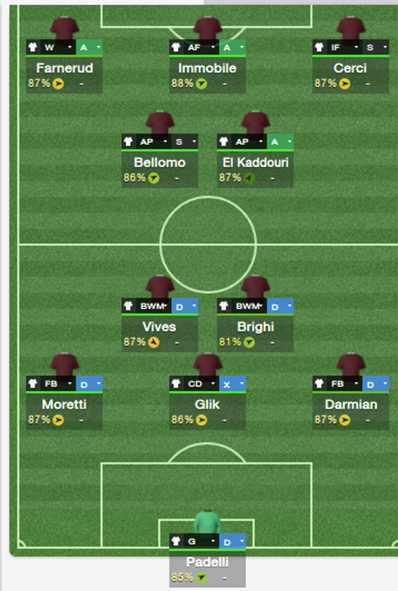 As you can see below, this is the tactic that I will be using in an attempt to replicate Torino's past glories, and whilst Nicola Bellomo is certainly no Valentino Mazzola this tactic will hopefully be good enough to keep me from relegating Toro for a second time. I have set myself two rules in this challenge, firstly that I can't change the formation all season - although I can change aspects of the roles of the players - e.g Matteo Brighi can change from being a ball winning midfielder to deep lying playmaker if necessary. Secondly, I am not allowed anybody to sign anybody until the January transfer window, in an attempt to avoid making wholesale changes to the current Toro squad - the lack of options on both wings could make this more difficult than I anticipate. The next update will feature reports on how I fared in my pre season games, and hopefully the results will not be too humiliating. It was a celebratory atmosphere before kick off at the Stadio Olimpico in Turin at Sunday lunchtime, but whilst the action on the field promised much at times, it failed to deliver any goals. The supporters of Fiorentina and Torino are 'twinned', an alliance formed due to the shared hatred of a common enemy - Juventus. Therefore, the atmosphere was a friendly one, with the announcement of the Fiorentina team being greeted with applause and not derision as is so often the case. After the defeat against Parma last Monday, Toro were forced into two changes as Alessandro Gazzi replaced the suspended Giuseppe Vives, whilst Paulo Barreto was in for the injured Ciro Immobile. Without both Giuseppe Rossi and Mario Gomez, the Viola were forced into using Josip Iličić in an unfamiliar striking role, with Juan Cuadrado and Joaquin either side of him. Daniele Padelli was forced into action for the home side from Mati Fernandez's free kick, but the much maligned goalkeeper did well to parry it to safety. Fiorentina were having the better of the first half, and both Facundo Roncaglia and Borja Valero had half chances to give them the lead. On the stroke of half time Alessio Cerci broke away from the Viola defence, but his low shot was tipped round the post by the Brazilian Neto. Despite the scoreline, both sides were continuing to create chances, and Valero should have done better from Juan Cuadrado's cut back, but his shot was off target. In the second half, Cerci once again forced Neto into making another save after being played in by Paulo Barreto, but the former Bari striker should have given the ball to an unmarked Alexander Farnerud who was on his left and in a better position. Toro were looking extremely lively on the counter attack, and could have scored a late winner when the excellent Cerci crossed for Riccardo Meggiorini, but the substitute could only balloon his effort over the bar. The game finished in stalemate and that was a fair result as neither side really did enough to win it, but in fairness it was also one of the better goalless games you will see this season. Torino extended their unbeaten home run to six games, and have still only lost once at home (to J**e) all season. Both Torino and Fiorentina will be without their main strikers for Sunday's lunchtime clash, as both Ciro Immobile and Giuseppe Rossi picked up injuries in their last match. Immobile will likely be replaced by the goal shy Riccardo Meggiorini, who is still looking for his first goal of the season. With Omar El Kaddouri injured and Giuseppe Vives suspended, new signing Panagiotis Tachtsidis could make his debut for the Granata. 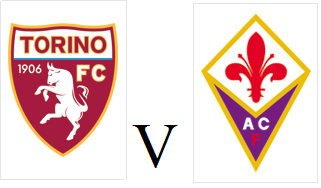 The Viola have been in excellent form as of yet, and have won their last three without conceding a goal - although the absence of Giuseppe Rossi is likely to affect them adversely. Torino started the New Year with a defeat as they were unable to record a fourth consecutive victory, despite taking a first half lead. There were no surprises in the Torino line up, as they once again started in a 3-5-2 formation with the familiar duo Ciro Immobile and Alessio Cerci leading the line up front. The Granata took the lead half way through the first half when Matteo Darmian's low cross was converted by the in form Immobile, who took his goal tally for the season up to nine. And the former Genoa striker should have made that ten goals moments later, but he failed to finish off a swift counter attack by blasting the ball over the bar. Ten minutes before half time Parma equalised when former Juventus man Marco Marchionni volleyed home a cross from the right wing. On the stroke of half time the home side took the lead when Alessandro Lucarelli's ambitious back heel volley from a poor corner somehow found its way past Daniele Padelli at his near post. Giampiero Ventura acted immediately at half time, as both Cerci and Immobile were replaced by Paulo Barreto and Riccardo Meggiorini - although it was later revealed that the latter was carrying an injury. With twenty minutes remaining Parma put the result beyond doubt when constant Toro nemesis Amauri out muscled captain Kamil Glik before finding the bottom corner of Padelli's net. Migjen Basha had a late chance to reduce the deficit, but he missed the target from close range. This was a disappointing defeat for Toro after taking the lead, but it was always going to be difficult to win four consecutive games in a league as evenly balanced (top 6 not included) as Serie A. Torino will now be looking to bounce back with a home game against Fiorentina on Sunday. 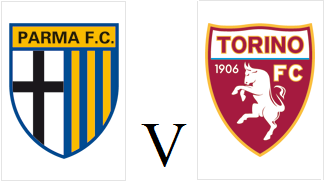 Torino face a difficult trip to Parma on Monday afternoon in their first fixture of the New Year, with the intention of keeping their excellent form going. The Granata are unbeaten in their last five games - winning four of them, and this brilliant run has seen them rise up to seventh in the Serie A table. Given their recent form, it would be a surprise if their were many changes from the side that beat Chievo 4-1 in their last outing, which should mean that Alessio Cerci and Ciro Immobile will continue their fine strike partnership. 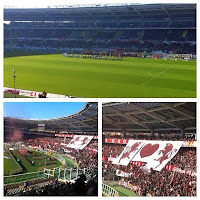 I am an English supporter of Torino, who fell in love with the club whilst on holiday in Italy. I have decided to write the blog in order to spread the word of this great club, in their quest to regain their Serie A status - which they achieved on 20th May 2012.